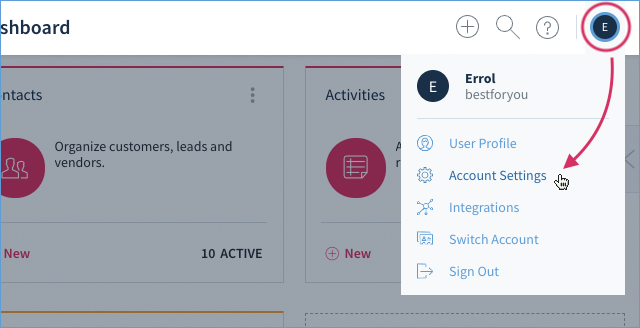 This article will walk you through the steps of adding more users who are able to sign in to your Method account. Note: This can only be done by users with Admin permissions. 3. The list will display existing Method users. Scroll down and click Invite User. 4. 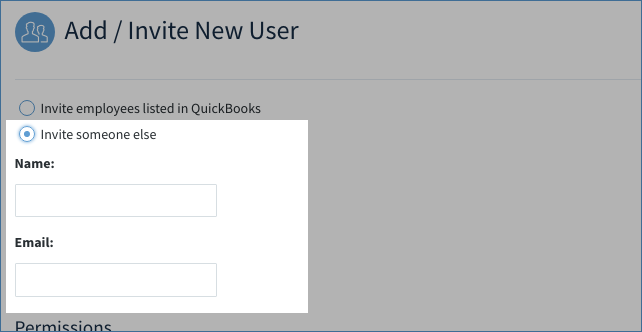 If your Method account synced at least one employee with an email address, you will be given the choice to Invite employees listed in QuickBooks. In the example below, you can select more than one employee to invite. 5. Otherwise, you can continue by selecting Invite someone else. Type in a name and valid email for the user you’d like to add. 6. Next you’re asked to set the permissions for the user(s) you’re inviting. Permissions pertain to how users interact with apps. 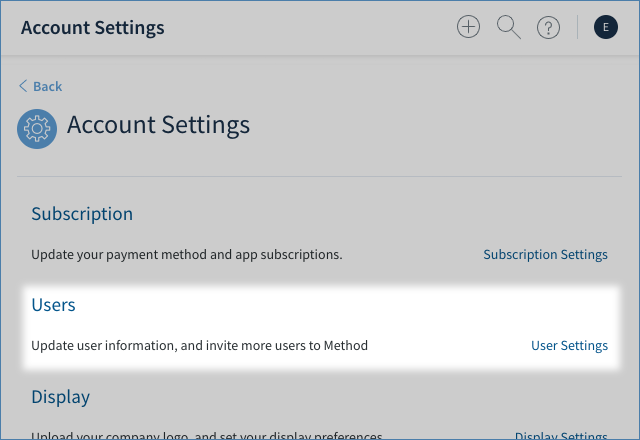 Make this new user's permissions similar to: Apply the same permissions as those assigned to an existing user by choosing a name from the dropdown list. Give the user Administrative permissions: ability to customize and manage apps they have access to. Give the user Customizer permissions: ability to customize apps they have access to. You can also assign permissions on an app-by-app basis by scrolling down to the list of packs and clicking expand. To learn more about permissions, check out our article Managing user permissions. Note: When you invite more than one user, permissions you set will be applied to all the invited users. 7. When you’re finished, click Invite user. 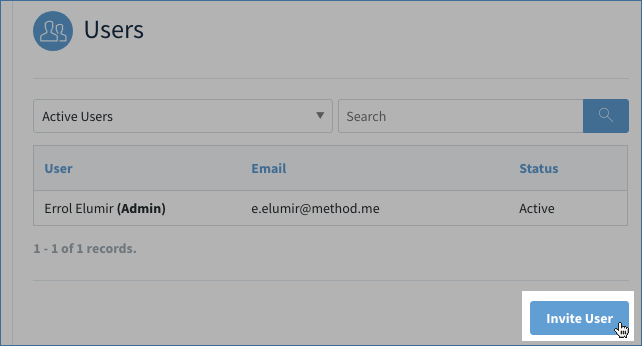 An email will be sent to the user’s email address with a link to Method’s sign-in page where they will be asked to create a password.